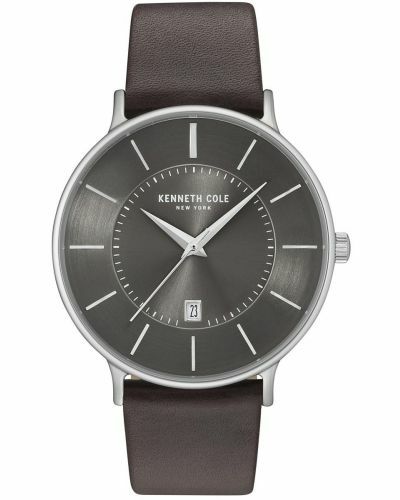 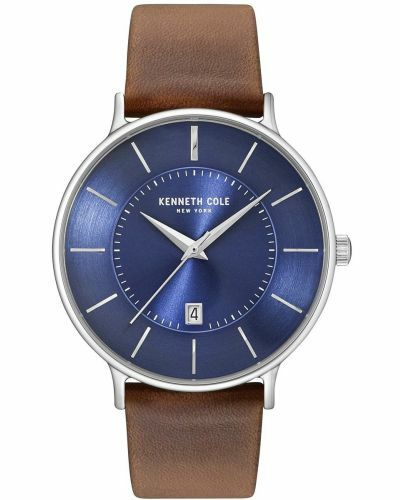 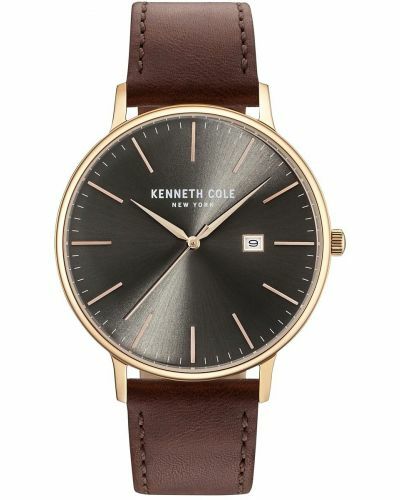 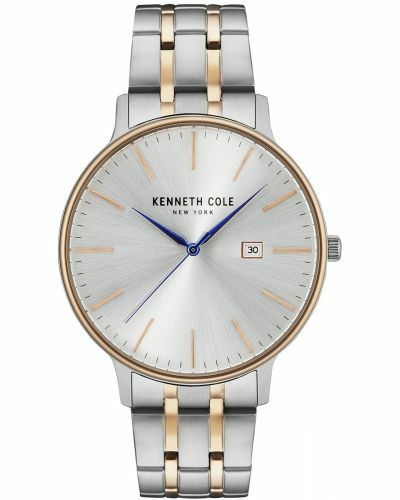 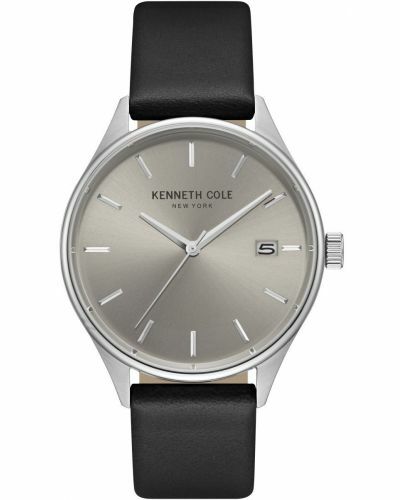 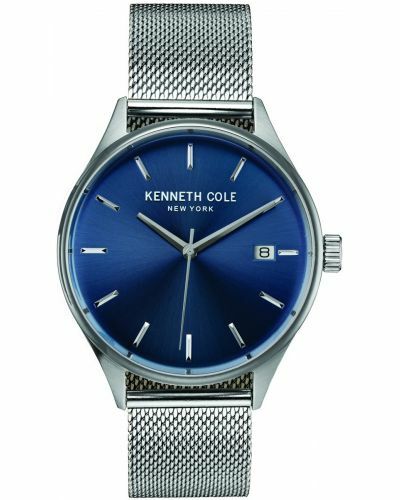 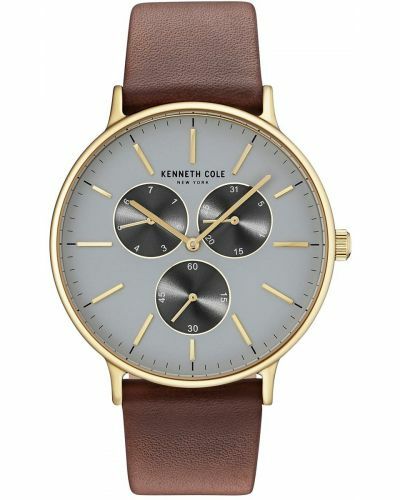 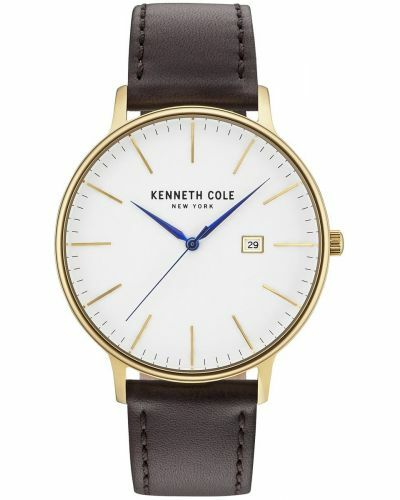 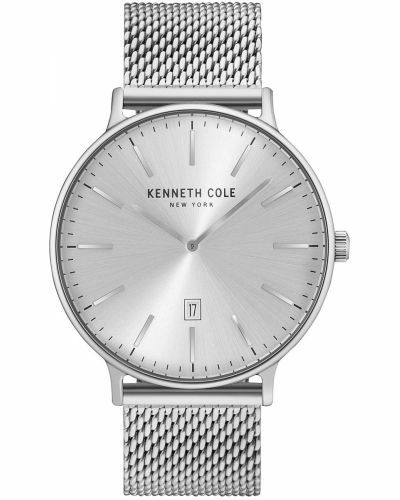 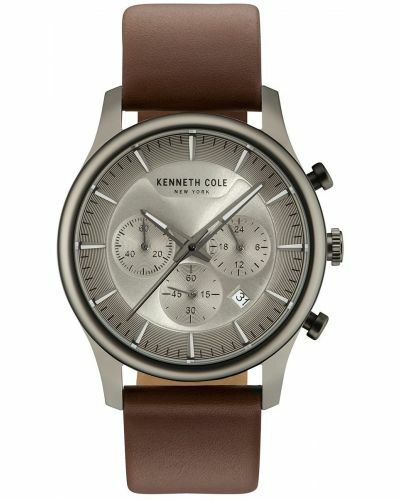 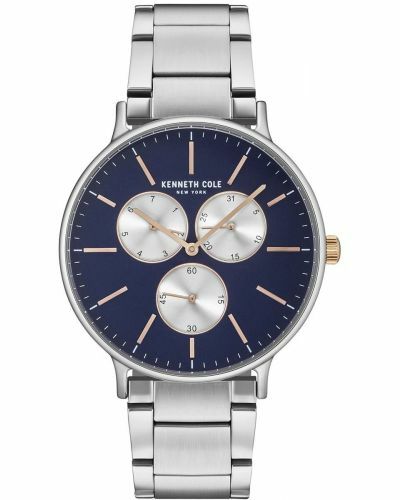 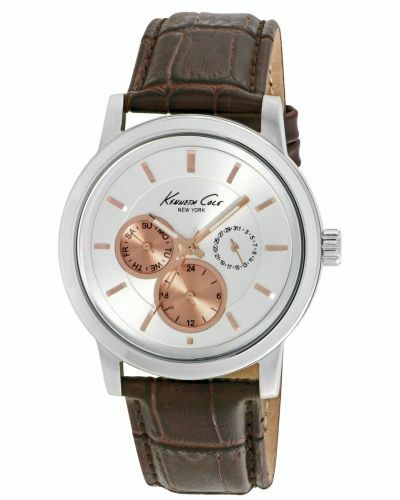 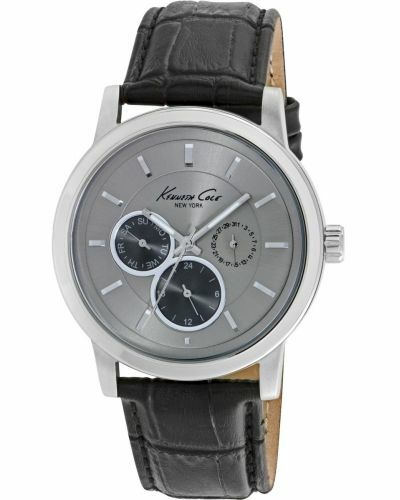 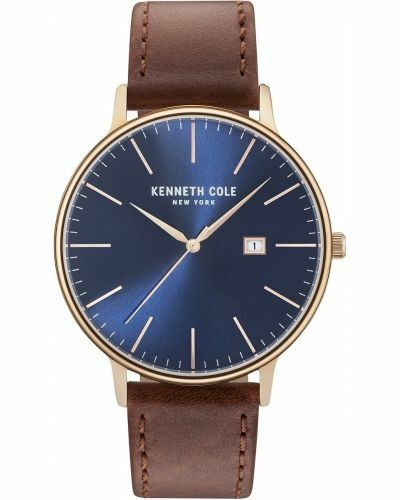 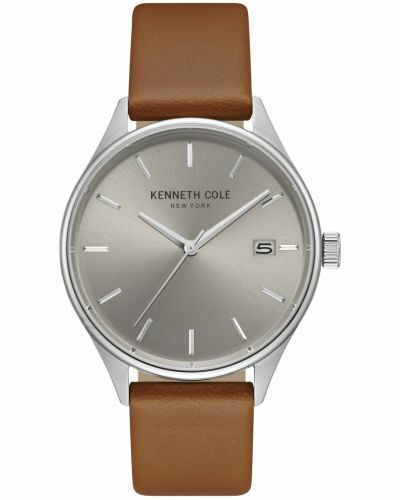 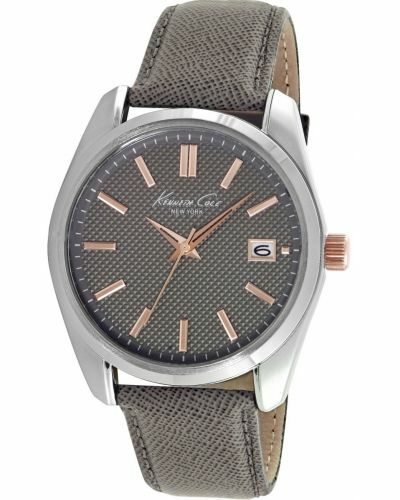 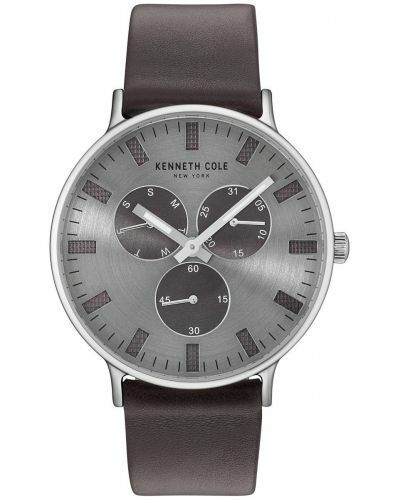 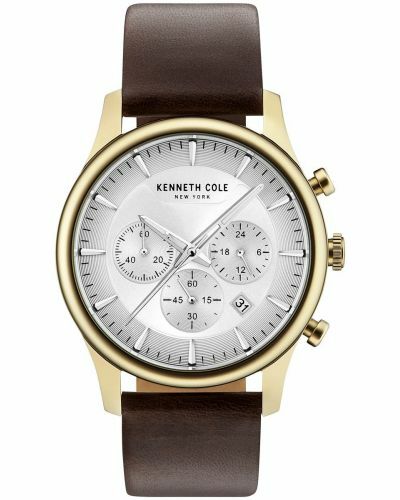 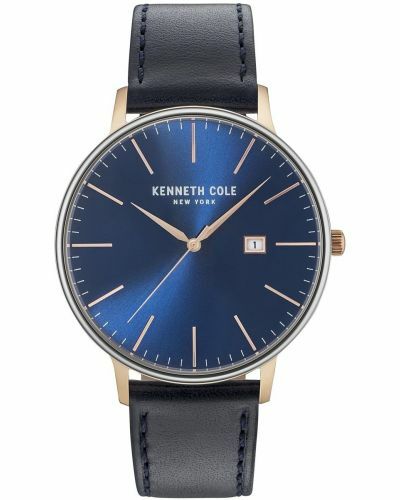 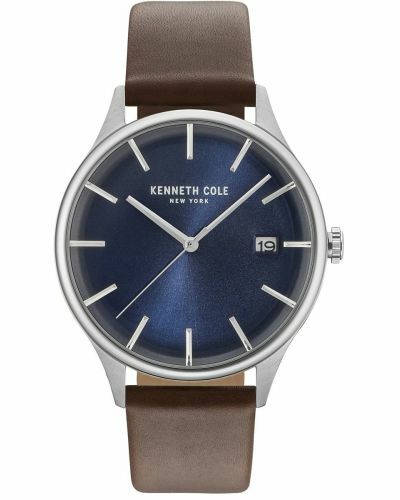 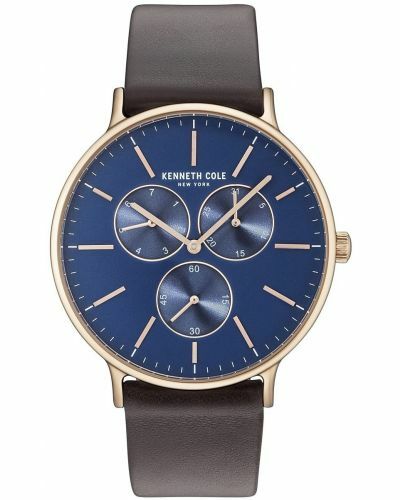 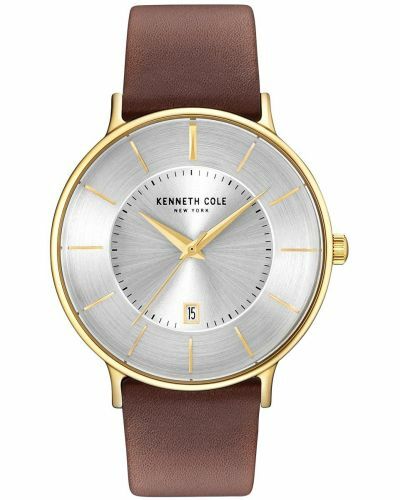 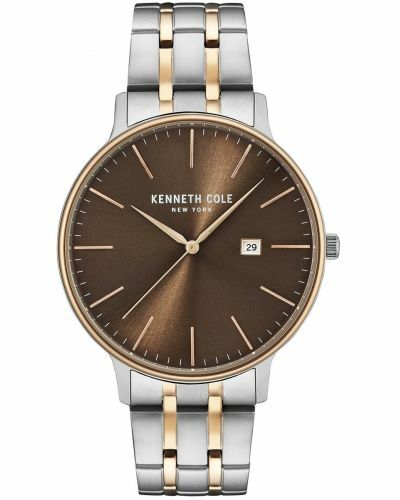 Mens Kenneth Cole classic stainless steel watch with a round brushed case. 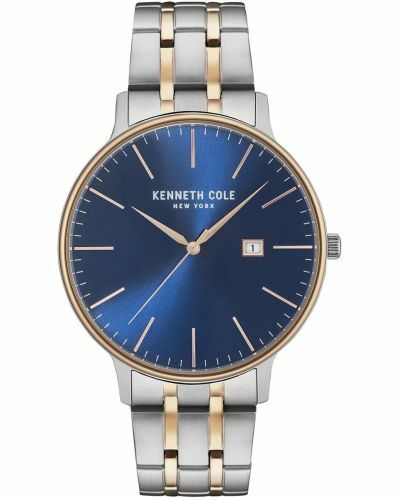 Has a deep blue dial with applied rose gold numerals and a date display window. 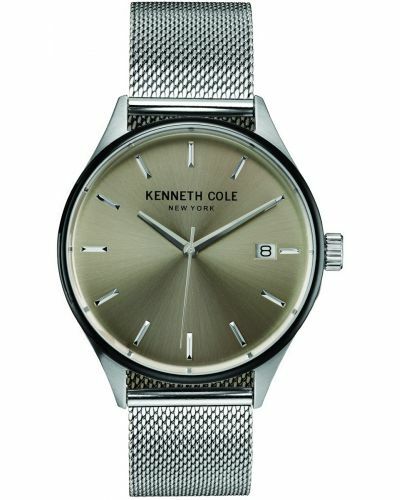 Features a part polished, part brushed stainless steel bracelet. 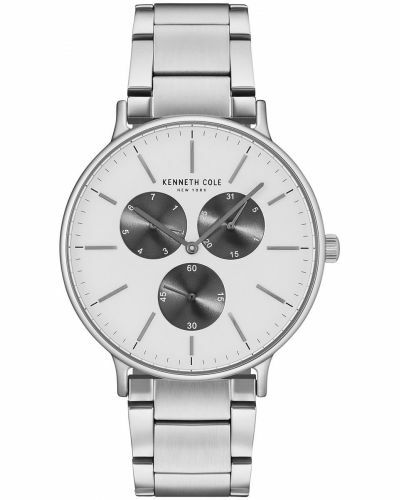 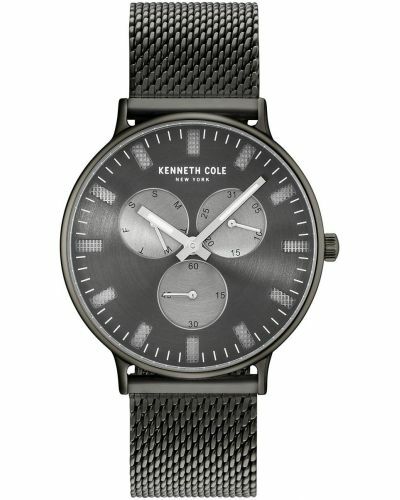 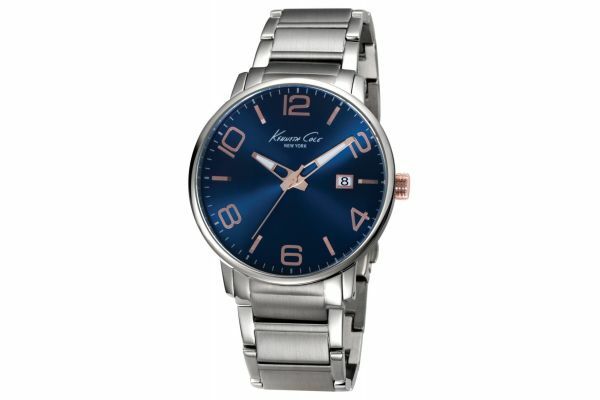 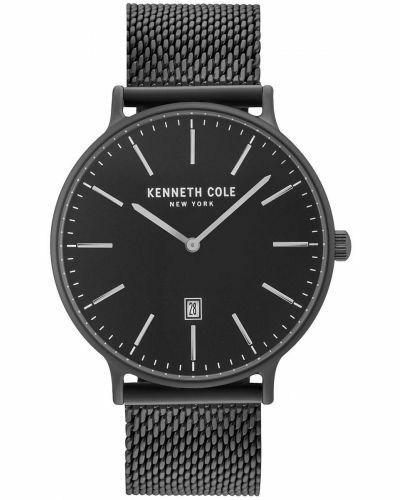 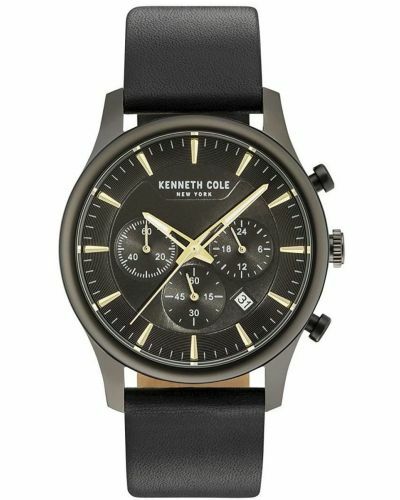 Powered by a quartz movement and comes with the Kenneth Cole 2 year guarantee.